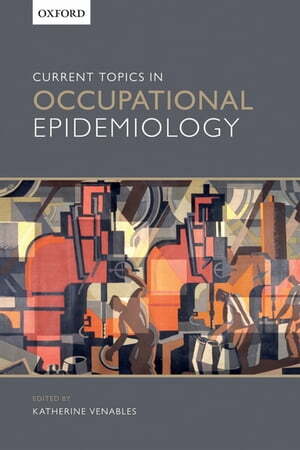 Collins Booksellers - Current Topics in Occupational Epidemiology by Katherine Venables, 9780191506819. Buy this book online. Current Topics in Occupational Epidemiology is an in-depth study of contemporary issues and emerging themes in the field. Divided into seven parts the book discusses 'new' occupational diseases such as pneumonia in welders as well as 'older' diseases including morbidity and mortality among miners. Trends in society have encouraged the application of occupational epidemiological methods to new issues such as the ageing workforce, return to work after illness, and the migration of workers. These issues as well the extension of epidemiology to surveillance systems, systematic reviews, and economic analyses are discussed in topic specific chapters. Written by leading international experts in the field, Current Topics in Occupational Epidemiology provides a comprehensive look at the current areas of interest and will be essential reading for epidemiologists, statisticians, exposure assessment scientists, physicians, and policymakers.